The first volume of Juliet E. McKenna’s acclaimed debut series, The Tales of Einarinn, is available in ebook form for the first time. Juliet McKenna has been interested in fantasy stories since childhood, from Winnie the Pooh to The Iliad. An abiding fascination with other worlds and their peoples played its part in her subsequently reading Classics at St. Hilda's College, Oxford. After combining bookselling and motherhood for a couple of years, she now fits in her writing around her family and visa versa.She lives with her husband and children in West Oxfordshire, England. 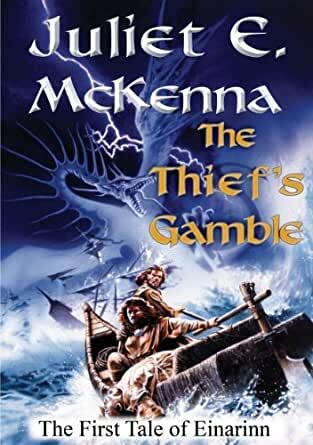 The Gambler's Fortune is Juliet Mckenna's third novel, following The Swordsman's Oath and The Thief's Gamble. I really enjoyed the protagonist's point of view, and observing the tale through her perspective. I am hoping there is more Livak in the rest of the Einarinn books. The secondary characters were also engaging and likable. I would have liked the 'villians' to be a little more well rounded, but I get the sense that more light will be shed on their motivations and rational in following books. Overall, a sound read in an interesting world with an enjoyable cast. Livak is an entirely likable lead that has charm, charisma, and levity to spare - I don't know why these virtues are so rare in female characters! I've read a lot of fantasy novels, but few as unique as this one. What's unique about it? For one, it's written from the perspective of a thief. There aren't too many of those out there, and unlike many fantasy novels, the character isn't a do-gooder - she simply get swept into the grand plot mistakenly as she pursues her own opportunistic goals. Secondly, it's written from the perspective of a woman. But not your typical fantasy novel heroine. This one is not just strong and independent, cunning and intelligent. She also doesn't harbor any silly ideas about the one true love that's going to save her. The book was very exciting, and I can't wait for the next installment. Was in good condition. very readable. I was not happy to receive my copy of The Thief's Gamble, because the cover of the book was torn, and this was not a shipping fault. But was pleased to be able to return it without any hassle. Today I received my replacement copy, only to find it too had been packed with a damaged cover. Even though I am fully within my rights to return this one also, I wont because I wish to get on with reading it. I am gobsmacked that a company such as yours can make the same mistake twice in the one transaction. Therefore I will really think twice before dealing with you again, and I will not be referring you on to my friends. 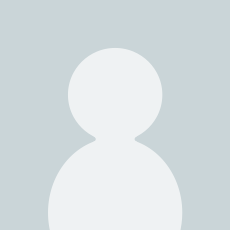 If you're reading this review, the chances are that you've seen a fair few swords-and-sorcery novels (or multi-volume sagas, as they more frequently turn out to be) in your time. If you're the type who'll read anything from Terry Brooks upwards, then here's what you need to know: secluded beardy wizards, convoluted names, small group on a quest, barbarians from across the sea, easy good/evil division. Okay? Good. However, there's also much here for the more discerning fantasy fan. For starters, this is a fantasy world with rather more depth than the usual cardboard cut-out pseudo-medieval realm; the story takes us through environments and situations which carry within them a sense of historical and technological change. The action of the tale is triggered by an antiquarian initiative, led by wizards and scholars, to investigate the true reasons behind the fall of an empire. We hear of advances in smelting techniques, of new fashions and the effects of trade; this rarely feels like unnecessary detail, but is generally brought into the narrative when it is relevant to the plot. The magic systems are kept simple but remain intriguing. The characters vary; some, such as the titular thief Livak (first-person narrator for around half of the chapters), work very well. Livak is a million miles from that patronising epithet "feisty" - she's quick-witted and capable without constantly feeling the need to prove it. She's also believeably experienced without being utterly world-weary. Casuel, in the subplot strand, borders on caricature but as a general rule works as a good contrast. The rest of the cast tend to be painted in broad strokes, and the interactions between them tend a little towards the flat, particularly once Darni is separated off from Livak's group. The problems, such as they are, come with the story itself. The author herself has admitted that the basic plot is pretty formulaic, but that she had tried to use the cliches to produce something a little different. She hasn't entirely succeeded - this remains, after all, fundamentally a 'quest', for all the convincing background colour. Politicking rears its head only rarely, and for all the great build-up of place and history, the (rather rushed) climax plays out as a fairly standard magical confrontation. Nevertheless, despite its bumps and flaws, this is a well-drawn picture of a world that I look forward to reading more of. McKenna undoubtedly has talent; if she'd only let her excellent world-building skills drive the story rather than the by-the-numbers fantasy plotting, she could be a considerable force in the genre.